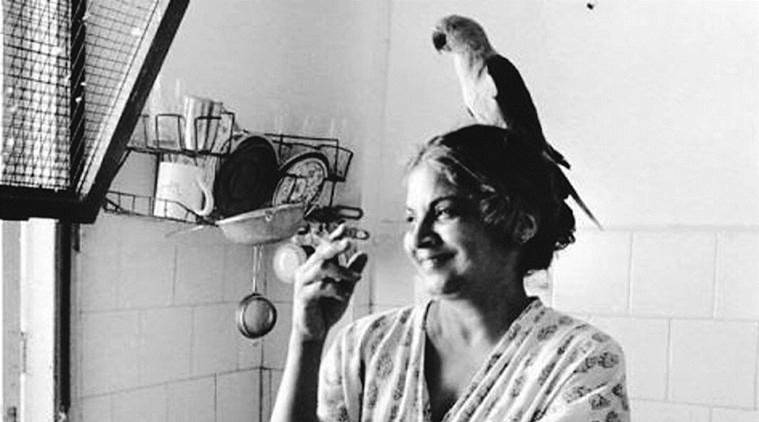 Eunice De Souza was born in 1940 in Pune into a Goan Catholic family, a background that she examined and commented upon with her keen sensitivities and characteristically caustic wit in many of her poems. Poet, critic and teacher Eunice De Souza passed away at her home in Vakola, Santacruz (East) in the early hours of Thursday. De Souza, who would have turned 77 on August 1, had been unwell for the past few months, and it was a cardiac arrest that led to her demise. She has left behind a lifetime’s worth of writings, including her much loved poetry, critical essays on art and literature and two novels. The funeral will take place at St Anthony Church, Vakola on August 3. De Souza was born in 1940 in Pune into a Goan Catholic family, a background that she examined and commented upon with her keen sensitivities and characteristically caustic wit in many of her poems. Following a master’s degree in English literature from Marquette University in the USA and a PhD from the University of Mumbai, De Souza began to teach English at St. Xavier’s College in Mumbai. She went on to head the English department at the college, until her retirement in 2000. De Souza’s first collection of poetry Fix appeared in 1979, published by the poets’ collective Newground and established her reputation for a keen eye and a rare combination of irony and sympathy. Many of the poems in Fix dwelt on her ‘Catholic Brahmin’ heritage, with De Souza skewering the pretensions and hypocrisies of the community. In poems like Autobiographical, One Man’s Poetry and Forgive Me, Mother, De Souza wove in details from her own life and that of her family, such as the death of her father when she was a child — a trauma that scarred her for much of her life. The poet published her second poetry collection Women in Dutch Painting in 1988, followed by Ways of Belonging in 1990 and Selected and New Poems in 1994. All her poetry, including some previously unpublished works appear in A Necklace of Skulls, published in 2009. De Souza also wrote two works of fiction, Dangerlok (2001) and Dev & Simran: A Novel (2003), besides editing anthologies such as Nine Indian Women Poets: An Anthology (2001) and These My Words: The Penguin Book of Indian Poetry (2012). Her last collection of poetry, Learn from the Almond Leaf was published in 2016. As important a poet as De Souza was, she was perhaps most loved as a teacher. Theatre director Quasar Thakore Padamsee, who was in one of the last batches of students taught by the late poet, recalls her as “wonderfully anti-establishment”. De Souza never married, caring for her mother until the latter’s death, after which she looked after an aunt who passed away a few years ago.